5th-13th February 2016. Trip includes fishing and some transfers, 2 nights in 5* hotel in Havana 6 nights and 6 days fishing on La Tortuga – our floating hotel with eight guest cabins for £4,250 per person. 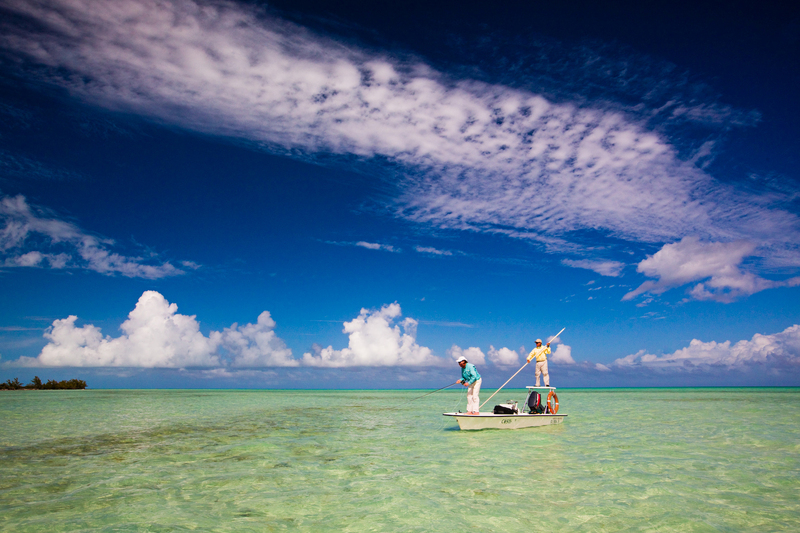 This is a trip of a lifetime for the intrepid fisherman who wants a chance at a Grand Slam of Permit, Bonefish, Tarpon and Snook are often caught in the unspoilt water of the island – the saltwater equivalent of hunting’s MacNab (a milestone in anyone’s sporting career). Cuba has long been a Mecca for saltwater fly fisherman from around the world and there is nowhere quite like it; the people are welcoming, the scenery breathtaking and the fish are plentiful! On La Tortuga we fish two guest per skiff, meaning there will always be someone to celebrate the monster that got away or help you land the ones that don’t! Cuba’s relatively unfished waters make this a rare gem of an expedition and it will soon not be as exclusive as it once was, with increased access for American fisherman in the near future, so enjoy it while you can! The Shotgun Chef will be on site to help in the kitchen and also to make sure that all guests get the best possible treatment, sourcing the best drinks, fine local food and cigars for the evenings. Our original 110-foot double deck houseboat, La Tortuga is your accommodation for 6 nights. It’s an extremely comfortable conversion of an old paddle boat staffed with people who really want you to get the most out of your days and nights. This steel houseboat is anchored in a protected channel, so it never moves. It is extremely stable, there’s no chance of getting seasick no matter the weather conditions. Note: Schedule can be changed according to your preferences and your guide’s suggestions. 07701 33 33 23 or 01851 830 727 email: william@theshotgunchef.co.uk places are limited to 9 so please get contact asap as interest has been high. ← The Punchbowl supperclub launches! Great information. Awesome to share.